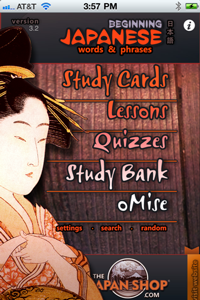 101 Common Japanese Idioms iPhone App Released! Apple finally released our second iPhone app today. This one is on 101 Common Japanese Idioms (just in case you didn’t read the title of this blog post) and is best suited for upper beginners up. However, even beginners can use the romaji and extensive notes. This app uses mostly the same architecture as the original one but with a few improvements. Organized into logical and useful categories. Bonus- free $5 coupon good for any instant download reader or lesson at TJS! Please check it out! 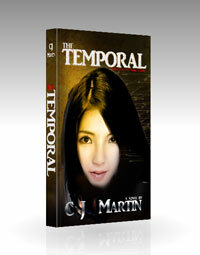 I don’t have a free version for this one, but the price is only $1.99. To learn more and see a few screenshots (and eventually a video! ), please click here. 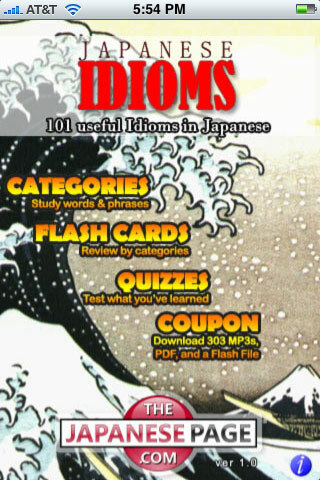 This entry was posted in iPhone and tagged iPhone app, Japanese idioms. Bookmark the permalink.